This product is currently retired and not available for sale at the moment, if you would like to request a followup to with our team if it comes back in stock please contact us here. 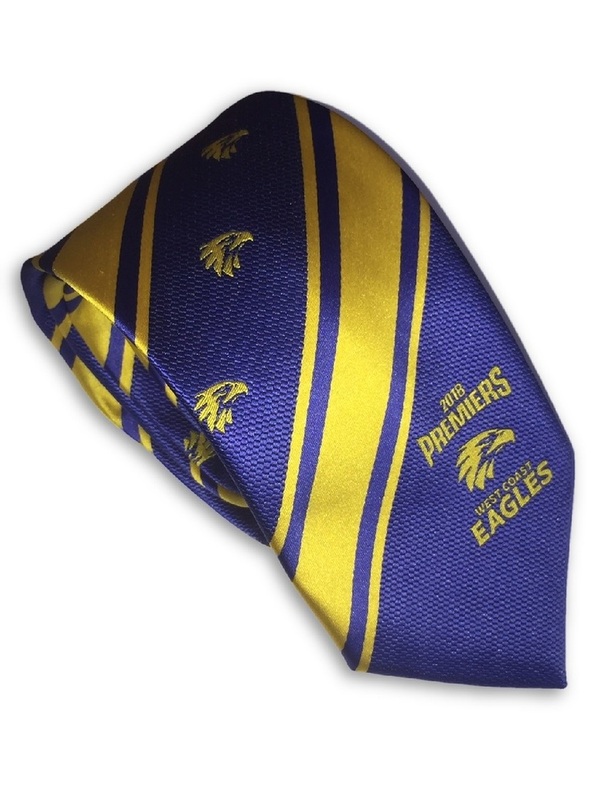 Celebrate the Eagles 2018 Premiership triumph at work or formal functions with a West Coast Eagles Premiers Neck Tie. 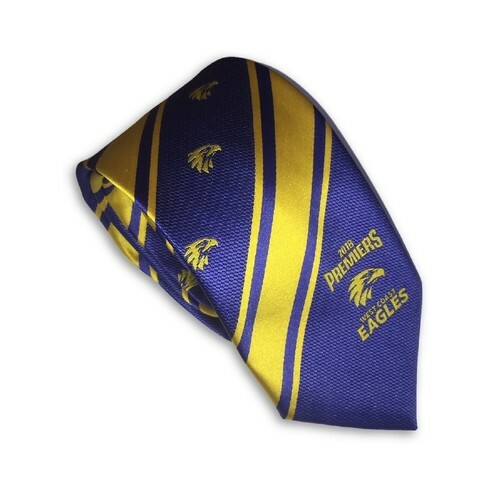 The striped blue and yellow tie features many Eagle logos up the length of tie, placed neatly between the stripes. The logo is also placed nicely at the bottom of the tie, with the 2018 Premiers wording and club name. Commemorate season 2018 with this quality woven polyester microfibre neck tie, and celebrate the premiership for years! Couldn’t be happier with the product. Bought a second one!